The transformation of Glaswegians ANALOG ANGEL in the last 18 months has been startling. Eschewing the more industrial template of their previous album ‘The Thin Line’, 2013’s ‘We Won’t Walk Away’ moved towards a rich but motorik sound reminiscent of classic OMD. The palette of the accompanying interim ‘Pride’ EP on Carbon 12 Records signalled the trio’s broader intentions. For the new album ‘Trinity’, the current line-up of main vocalist John Brown and instrumentalists Derek MacDonald and Ian Ferguson have freed themselves from the shackles of darkness and explored influences as diverse as synthpop, classical music and even progressive rock! Those used to ANALOG ANGEL’s industrial roots may think it is all business as usual when opening number ‘Lose Control’ makes its presence felt. 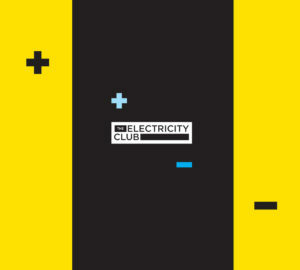 However, what then follows is a fine exploration of electronic music forms. 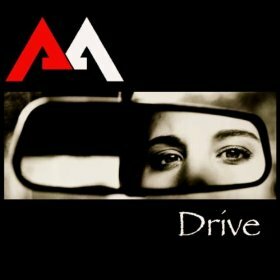 The splendid new single ‘Drive’ is a grand futurepop number about escaping domestic violence; it comes with the twist of a haunting vocal by Tracy Cox within its closing reel. This ultimately sets ‘Drive’ apart and anyone that says a female vocal cannot emote within the field of electronic music is very wrong. Ms Cox makes another appearance with Ian Ferguson on the sweeping ballad ‘No Goodbyes’. Now ANALOG ANGEL’s very own big blokey does a reasonable Midge Ure impression and the end result even recalls the ULTRAVOX frontman’s Claudia Uhle duet on the European hit ‘Personal Heaven’ with X-PERIENCE. ‘Trinity’ also features the catchy ‘Shout’ which could be considered to be a chant laden second cousin to ‘We Won’t Walk Away’. Meanwhile the refined synthetic atmospheres of ‘Inner Voice'< cross the unlikely borders of German trio CAMOUFLAGE and Greek pioneer VANGELIS. The title of 2014 though has to go to the instrumental ‘Vince Clarke Stole Ralf Hutters’s Hamster’ and it does what it says on the tin! Despite the brooding and occasionally sombre battle cry of songs such as ‘Anthems’, it proves there is plenty of humour lurking behind the scenes at AA Towers. But the biggest surprise is ‘The Last Time’; featuring a cinematic arrangement involving an orchestra cascading into an epic Pan-European journey heading eastwards, John Brown launches into emotive resignation as the cacophony of virtual symphonic strings and gothic choirs recalls THE SISTERS OF MERCY’s ‘This Corrosion’. It’s an indication of what OMD might have sounded like if Jim Steinman had been producing! 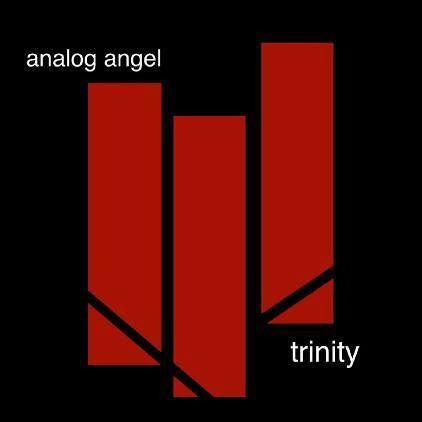 Every band is capable of that one number which transcends genres and crosses over like TENEK’s ‘What Do You Want?’ or PARRALOX’s ‘Sharper Than a Knife’… ‘The Last Time’ is that song for ANALOG ANGEL.